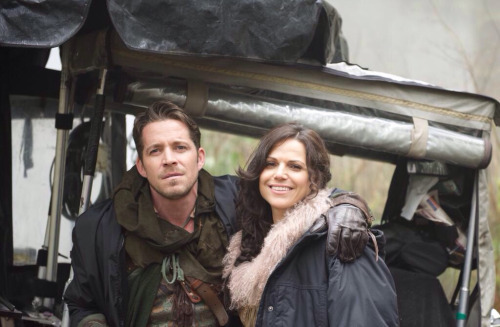 Lana Parrilla and Sean Maguire. . Wallpaper and background images in the वन्स अपॉन अ टाइम club tagged: photo once upon a time season 4 lana parrilla sean maguire regina robin hood outlaw queen. This वन्स अपॉन अ टाइम photo might contain कवर वैगन, conestoga वैगन, conestoga, प्रेयरी वैगन, प्रेयरी जहाज़, कॉन्सटोगा वैगन, कॉन्सटोगा, प्रैरी वैगन, प्रेयरी स्कूनर, prairie schooner, सड़क, शहर के दृश्य, शहरी सेटिंग, शहर दृश्य, शहरी की स्थापना, and चक वैगन.